Mech customers include general contractors, public/government agencies, and private customers. Our projects can be of any scale. Mech makes a commitment to every customer to provide a suitable, trustworthy, economic, safe and attractive steel structure. 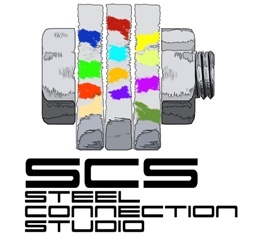 We can offer project support on any, or all, phases of the steel design and detailing. >From the beginning of a project at pre-design, we define an effective constructable form and estimate the weight of the materials, thereby establishing a working budget at the earliest possible stage. 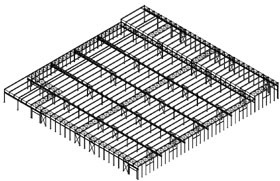 Where we provide the complete structural package, the steel construction can be competitively bid directly to fabricators because our services include the detailed shop drawings. Mech offers the advantages of a minmum design time frame, responsible and comprehensive budget control, coordinated and consistently detailed shop drawings, and the opportunity to solicit the most favorable fabrication price. If steel construction is the choice, our experience and professionalism guarantee a positive outcome. For a free estimate or to arrange a meeting please leave your name, the name of your company, your position in the firm, telephone number and the information you require. You will be contacted within three working days.